All of the below information comes directly from job reviews written by Vodafone employees based on 129 reviews. - Do research on the sector and Vodafone. - It is a fun assessment centre compared to others, it is not really competitive. - Be yourself and don't be too "corporate" - show that you have a social side as well, however remain professional. - Research the company before interviews/assessment centres as you WILL be asked. Be confident.Showcase your skills as best you can and be positive. All these things are key. Ensure you feel like you have prepared, researched the company as much as possible and look on sites like this to get a feel for what the interviewers might be looking for in a successful candidate. There appears to be a common theme running through all of my years intake and I think this is a positive state of mind, and an ability to think differently. Be under no illusions however, don't go saying 2+2=5, but offer multiple solutions. Have some examples of when you have thought outside the box ready to throw in at any point. Video interview: What would you say to the VF CEO if you were in a lift with him for 3 mins? What would you take on a desert island? When have you had to overcome a difficult challenge? This kind of thing. Assessment centre: Be positive. Engage with other candidates. Be professional. Make sure you look smart (you don't have to shave your beard off like in sales companies, just look smart). Arrive early and speak to the organisers. What might someone ask you? Have an answer ready for as many questions as possible but don't script it! Be yourself - be honest about your goals and show your personality. A CV is good to have, yet it is how you present yourself that matters the most. Do not make something up if you do not know. Instead answer honestly and show you are keen to learn. Be confident in yourself and show that you understand the question and try to apply real life examples to show how you can apply the question to yourself. Think of strong examples and don't be afraid to sell yourself! Prepare lots of situational questions, research the company in great depth and don't panic - the assessors are not out to get you! To really be proactive in every step of your application and continue this if you are accepted. Relax and be confident - your merit will show through. Don't take yourself too seriously - Vodafone wants to see that you have a personality and that you would be able to fit in with any team. So show them that you are an open and easy to get along with person. Do your research about Vodafone - show that you have an interest in the company by looking at their products and services and see if they have been in the news recently. Know the industry and what sets Vodafone apart from its competitors. Pay particular attention to the entertainment packages that Vodafone offers as part of its 4G mobile plans. Finally, look into the future at the areas Vodafone is moving into and the areas that Vodafone could potentially move into, be sure you come with lots of opinions on these areas too! The application process is a long one but I remember it very well because it was quite different to a lot of other graduate applications; the video interview for example has lots of "curve-ball" questions like "what items would you take with you if you were on an island all by yourself?" You could answer with anything; a lighter for heat, or a jet plane to fly off of the island with; they're just seeing what type of person you are and how you think so enjoy the process! Be yourself, be ambitious and be proactive. The video interview questions are not what you expect; be prepared to answer out of the box questions and think about what makes you a good fit for Vodafone. Be open minded, network and embrace change. Be confident, calm and don't worry about being noisy. Assessment centres are designed to challenge you a little and get the most out of you. Research the company thoroughly, know why you are applying for Vodafone, for this industry and for your preferred stream. Be interesting and show a passion for something, not necessarily Vodafone related! A big part of Vodafone is networking and people skills so show experience of teamwork and be friendly and chatty to everyone at the assessment centres. What three things would you bring to a desert island and why? If your application was on the side of a bus what would it say? The video interview questions were wacky but gave the chance to give a little pitch about youself at the end. The interview at the AC was more competency based and included "Tell me about something you are passionate about?" Competency based questions; What are the challenges in this sector at the moment? EU challenges? Why Vodafone? Be honest - Your manager will have your CV on the table the day you arrive and will probably use this to start building a relationship with you so make sure you haven't lied on your CV. Be yourself, Vodafone do not judge on past experience, grades, upbringing - come here and bring your personality, motivation and positive energy. The assessment centre is a great day with 3 well structured, manageable tasks - be different and make sure you are authentic. Take your time for the initial phases of the application, spend time with the questions and if you put a good level of effort, you will be in. Tip: You will enjoy the video interview. Vodafone follows a standard assessment centre schedule. If you are genuinely passionate about the role you applied for and can demonstrate that passion to a level, you can definitely make it. Be yourself, enthusiastic and open to try things which you haven't considered before. They want to see what you are like as a person rather than how much you have studied about the company. Practise the verbal and numerical reasoning tests before hand and do plenty of research on the company. Why Vodafone and why telecoms? It is a very relaxed environment - don't act like you're in competition with the other candidates but rather treat them as your peers. Be yourself - they look for personable people. Do your research on the company and get your head around the history of Vodafone - as well as their aims. Be confident and show that you can be an innovative character. Research into the company and also prepare your competency questions. Research the company and make sure that you express yourself in the application. Stay relaxed and be yourself. The interviewers are friendly and open. Interview - don't concentrate too hard on Vodafone's history, what they do etc. Concentrate more on YOU and what YOU can bring to the company. Assessment Task - Fight your corner, and be persuasive - if someone's idea is better than yours it's okay - support that idea and add value to the idea. Do your research - make sure you know about the company. Be yourself - Vodafone seems to choose graduates based on who they are rather than how much they've done. Make sure you come across as outgoing, talkative and friendly. Ask questions! Be enthusiastic and passionate about Vodafone. Understand solution selling/be open to learning new things. Smile, research, make yourself clear with where you want to reach and be honest. Also highlight your past experiences. Relax and be yourself, let your personality shine through and you can back up any statements you make. Come well prepared for information on the company, as well as examples of personal successes and failures. Be yourself. 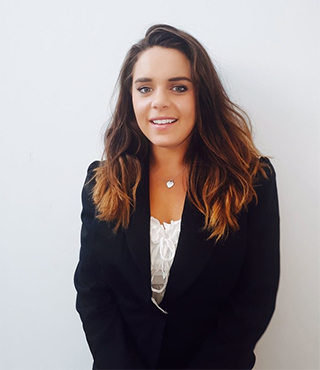 Vodafone are passionate about taking the right personalities and attitudes over specific expertise to fit the working environment they achieve. Vast amounts of training are available to develop professionally throughout the scheme. Again just be yourself. My interview was a 1 on 1 and in a very informal manner which helped me to relax and let the real me show out. The questions are fairly standard and draw on personal past experiences and perspectives on life. Be enthusiastic and ambitious, demonstrate knowledge of the industry and come with an open mind. Have answers prepared for questions like 'Why Vodafone?' and 'Why have you applied to this area of the business?' and 'Give an example of a time you showed leadership/initiative/adaptability.' But also be prepared for curveballs! It is all about who you are as a person and your values, less so about what educational background you have (although that is important to get you in the door!). Be yourself and try to keep calm, they're all about individualism and personality. Demonstrate potential and achievements in tandem. Be prepared to show both individual skills and team skills. The application is about showing relevant experience as well as personable traits. Vodafone looks for people with people skills. You don't have to have a relevant background to apply for a certain scheme. Again, all about appearing personable. Competency based interviews, think of times that you solved problems, had to have a change of approach etc. Show you have a passion for technology irrespective of your degree or background. Name a technology that has impacted the industry and recent years. Go for it, what have you got to lose? Have confidence in yourself and your ability. During the interview process, just completely be yourself. As a student/graduate you are not expected to know everything inside out - if you don't know the answer to a question, be honest. Say you don't know and then give your best understanding of what they have asked. They want to get to know you and whether you will fit in as part of the organisation, they don't want someone who has crammed a load of meaningless facts on the journey in. Vodafone is a very innovative company - always looking for new ideas. Make sure you shine as yourself, do not worry about your knowledge in a particular area (even the area you're applying for!) They hire the people not the knowledge. Video interview - not standard questions! "If you were in a lift with the CEO what one question would you ask him? ", "What three items would you have if you were deserted on a desert island?" Assessment Centre - Group exercise (this year there is two) -> make sure you let others speak! Do not try and take over to show you are the leader, these are about your negotiation skills and ability to see others point of views and come to the best solution for the situation; Interview -> one on one, normal interview questions and then two stream specific at the end; Presentation -> one on one, you get given the subject 30-60 minutes before your presentation so you have this time to prepare. Tech grads get a different subject to everyone else. Just use the information given to you and make sure you present as clearly as possible, again it is more important to present YOURSELF well, than the topic. Be true to yourself - be authentic and let your personality shine through. Stay calm and answer intuitively rather than thinking too much into what the interviewer is looking for. They are more interested in if you would fit into the culture of the organisation than your answers. Be yourself. It cannot be stressed enough to just be yourself and your natural qualities will show and emphasise if you really are suitable for the company. Preparation may not always be key, be prepared to think outside the box when questions arise which you do not expect. Enjoy the questions being asked as this is when your real responses are given. Vodafone is all about looking for the person and the potential they have. Your personality, enthusiasm, and willingness to learn and try new things are just, if not more, important than a CV full of big jobs with big businesses. Don't be put off by the thought that you don't know that much about the industry or the company. So long as you can show that you are able to learn and comfortable with the unknown, you'll be in a strong position. Expect to talk a lot about yourself and some personal achievements. The nature of these achievements can really be anything you want it to be, from a big success at uni to something altogether different like building a PC. They're trying to find out what kind of person you are, more than what you may have actually done. Also be prepared to have some ideas about the industry and where it might be going. These don't need to be incredibly detailed or even particularly feasible, but they need to demonstrate that you've read around the subject and can formulate ideas of your own. Whether or not those ideas are real business solutions doesn't matter. Make sure that you come in with an open mind. Don't set your heart on a particular stream as the talent team may feel you better suit in a different stream or role. Spend time on your application, don't rush it. It is an extremely relaxed day so do not get worked up. Everyone is so friendly and they aren't trying to trick you or test you, they just want to know where you would fit into the business. Make sure you the company fits you and your way of working, and don't change yourself to fit the company. You'll quickly find out if you like the Vodafone Way of Working or not and by then it may be too late. Also take time to consider what you are applying for as the graduate scheme can be quite strict on the roles you can, and can not do. Try and be personable and relatable. Vodafone employs people based on their personality not necessarily their knowledge or experience. It is clear when you start working here that they employ the same sorts of people that they know are going to get along. Be yourself, no made up stories or attitudes. Read about Vodafone as much as you can before applying. Clear, honest and goal oriented answers. Be sociable! It's an open plan office and meeting people is the backbone of the office culture, relax and get involved with as much as you can. Put sufficient time in to the application. Quality not quantity when it comes to applying for grad roles. I aimed for roughly 8 hours per application and I only applied to 3. There's a lot going on in this industry at the moment - candidates need to know about this. Try to find out a bit about what we're doing in other countries to make yourself stand out. Vodafone is a global brand. If you want to be: challenged, grow in your professional career, experience in a variety of different roles within a top reputable organisation filled with great people - Vodafone is the place to be. Be obsessed with the organisation of Vodafone - know the historic facts about them. Make sure you are aware of the current field Vodafone is involved in - see how you could play a part (this can be through: actual job or opinions on particular business moves). On the day of the interview, don't treat others like your rivals but like a peer you would want to work with side by side. Make sure you have lots of extra stuff on your CV: internships, extra stuff at uni, part-time jobs and placement year. Research The Vodafone Way of Working and make sure you can give examples of when you have demonstrated these types of behaviours. The video interview is a lot of fun- don't take it too seriously and relax! Have a go at the maths and English tests as although they are super hard- try your best! Think about the telecoms industry and what the customers are like, go in to a Vodafone store and look at the offers which are presented, what the posters say and even think about how they could be improved. Speak to everyone you can throughout the day and make friends with other candidates- they may be your employees soon! Questions are quite abstract sometimes, designed to make you 'think outside the box'. A great company to learn and develop in. It sounds generic, but just be yourself and be passionate about what you love. This will really come through in the application process. Vodafone are not so concerned with the exact nature of your university degree. They want to know you as a person as long as you meet minimum requirements so try to focus on your soft skills. They are looking for motivated individuals who can bring change to the company for many years to come, not specifically to fit into a niche job role. Some simple telecommunication questions so they can ensure you have a basic knowledge of the field. Go for it - don't hold back. Always smile. Know your CV, don't be shy in the group activity, prepare to pitch. Be yourself, they are looking for candidates who have potential not necessarily tons of experience. What three things would you take onto a desert island and why? Coming straight from university it would be an amazing grad scheme to apply for. The friendships and family aspect of Newbury are really good for those grads worrying about being in a strange place all alone. Don't worry there will be many others feeling that way with you. Be yourself. They want you and your personality not a performance of the perfect interview. There is no such thing. Do it - you won't regret it. Incredible company with endless opportunities. They really do look after their staff. Be yourself - if you have got to the interview stage then they are looking for personalities that fit our culture. So enjoy the day, be honest and smile! Small things like that allow you to stand out. Look at Vodafones core values and try to apply them to your past experiences. Be relaxed, they aren't looking for someone who could be defined as 'Mr Corporate'. Generic Competency Questions - Leadership, teamwork, strategy. Don't waffle, just answer the question. Show lots of personality and don't be put off if your're not techy. Be prepared to describe your high school experience, and your thought process on your transition from school to uni, and your career to date. Talk about your career aspirations and what you hope to get from the role. Swot up on the industry and try to think about opportunities and challenges Vodafone face. Be open-minded, hard-working and very organised. It's a great role for understanding the market and Vodafone's competitors, therefore I would suggest you have an interest in what is going on outside of Vodafone, whilst keeping up to date with telecommunications news. It's also very useful to have an analytical mind and some skill on Excel. Express an interest in analytics and the general marketplace. Be open and honest, we're looking for a conversation with you about what you can bring, but also whether you'd be a good fit for the company. Communication skills are very much valued even for technology graduates. Be yourself. Don't try to be someone you are not. If you get selected on false merits, most likely you won't enjoy the work afterwards. It's a lose-lose situation for you and the employer. Communicate what you would bring to the role and be passionate about why you want to work for Vodafone. Do your research - the market is continuously changing, you need to understand the threats within each channel i.e. Consumer, Enterprise, MVNOs and partners. Be prepared to have an opinion on what the company focus should be and why. About your life experiences - be yourself! Be yourself, don't try to fit your personality and skill set into a job role specifically. With a company the size of vodafone, there are positions for people from all walks of life and with all sorts of skills. Just be you - you will know from the second you walk in and speak to people if you fit in here or not. Prepare! Just draw on your experiences and if you can, show what you have learnt from these examples rather than just listing things you've done. It's not always about the achievements but about what you did with that opportunity and what you made of that situation. If you apply for this role, please bring the best of you in your bag. Smile, be enthusiastic and prepare. For prepare I mean that a lot of people don't read enough about the company they are applying for and what it does. This is even more important when speaking of a large corporate. Don't make that mistake, prepare yourself, explore the company news/website/innovations and good luck. The individual interview is nice and friendly don't be anxious about it. Just describe honestly who you are, what your skills are and how you behave under certain circumstances. Keep the same behaviour in your group interview and show how quick you are to solve a situation during the presentation on site. Think about what you have done and the transferable skills you have gained from that experience. Show you are interested in gaining exposure to different areas of the business. Don't just focus on academic and work experience - extra curricular activities and your hobbies are important to talk about too because you gain a lot from them that you may not even realise. Be yourself and know how to talk about any previous experience you have and how it will help you progress within the company. Ask questions - it shows your interested in the company. Do your research and be able to discuss current affairs that are relevant to Vodafone. What motivates you? How do you like to work? Research the company beforehand to make sure it's the right place for you. If you think you will be suited to the working environment then the application should come naturally. If you're struggling to find an answer to 'Why do you want to work at Vodafone' then I would recommend looking elsewhere. You have to want to work for the company you're applying for - if you don't it will be obvious at interview stage. Research market wide developments as well as Vodafone-related information. Make yourself stand out by doing something different outside of your academic life ie; Backpacking for 6 mths. Know your CV thoroughly, do not hide away any potential weaknesses by being dishonest. Focus on your CV strengths and experiences which display your skill set and widened 'life' experience. Be confident and self-assured - research the Vodafone Way of Working and see if you would fit in with the culture - this is a huge part of the selection process. Keep an open mind and grab opportunities you are given. Be specific and prepared and assess whether the company is for you before you go in. 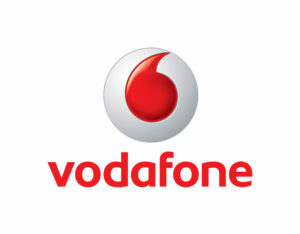 Vodafone is big on people, if you are able to show your personailty in the interview it will go in your favour. Why did you choose your degree/university..let the interviewer get to know who you are. Be honest, show you know and like Vodafone. Enjoyable and well organised Assessment Centre. Relax, be ready to answer many questions on you as a person and your time at college/university. Know the basics of the telecom industry, how it works, products, services etc. For a technology role, update yourself on latest advancements and hot topics. Be open minded to new experiences and roles that you may not have considered before. The roles have such a variety of experiences within them and are often mouldable to the type of work you wish to undertake. Show a real passion for working in the industry and an exciting innovative environment. Best decision you will make - be honest, be fun (not all work), and be passionate!!! Be passionate, research the company thoroughly, be confident and try and act relaxed - VF is smart casual and it is rare to wear just black and white/suits. Come to the interview smart but in something a bit more suited to vodafone than just black and white. I would say to a candidate of the Graduate Scheme that they need to erase any worries of lack of integration into a working team. I could not have asked for a better introduction to the HQ side of the company. The regular events run by the Graduate Scheme allow everyone to socialise despite potentially working in a department where few to no other grads are working. Prepare your presentation fully and think about any critiques that could be posed to you. Be ready for questions about you and past experiences in your degree and/or working career so far. Be yourself, the Graduate Scheme is more than just about your degree grade, they want to know that you are suitable for the company dynamic. Show your personality! Know what Vodafone is about and what we do! There are vast areas of Vodafone which are entirely different to just selling mobiles! Understand Vodafone a whole and not just a part and understand what it is you would want to do within Vodafone. Make sure that Vodafone is the industry you want to start a career in and have a passion for it. There's no use coming to Vodafone with the attitude that it's 'just a job' because that's not what Vodafone's employees are about. You've got to have a genuine passion and ambition for what Vodafone do and what you want to explore and learn within Vodafone. Be yourself. Relax and don't see the interviewer as someone interviewing you to try and find your faults or gaps in your knowledge. Treat the interview much like a chat with a friend or a colleague on topics you a) know about and are interested in and b) can confidently talk about without seeming nervous or as if you are reeling off information you've learnt purely for the interview. If you can do this and know about yourself, Vodafone and the things that interest you in Vodafone you will be more than fine in the interview. "If you were to implement a worldwide phone network, what would be the big challenges and what would you do about them?" "how do you make a phone call?" Go for it - you have nothing to loose. it's not just about your grades - big up personal achievements and extracurricular activities. It's more about personality and how you get on with people than about what you know. STAR technique. Prepare these questions and you will be alright. Go for it, the interview process is unique and Vodafone really want genuine people, so just be yourself. Think about what Vodafone stands for, more than just a mobile phone shop. It provides a way for people to communicate, whether by mobile or fixed, and stands for giving something back to its people and communities. Think about how different parts of the business engage with each other, along the customer journey. Read the questions carefully to get through online test and don't panic if you don't finish - I didn't. Concentrate on the STAR technique to identify situations where you have shown a behavior e.g. leadership and explain what you did in a concise way. Be yourself when you come to interview & don't panic. It is the least uncomfortable assessment center I have ever been to - very relaxed! Repeat STAR technique during interview but tailor it to a face to face conversation. Understand the trends, competitiors and how it all fits together. Take a guess at the big challenges we face and think of a solution - get creative! Relax, it's just a conversation. Hmmmm...enjoy it!! Don't worry about it, they will make you feel relaxed and welcome! Be yourself! Vodafone is all about seeing the potential in people so don't just parrot the things you think they will want to hear. Be positive about your experiences and what they've taught you about yourself. Be engaging and willing to talk about yourself. Nerves are fine, we all get nervous, just be prepared. The Vodafone assessment centre is a great opportunity to see the campus and witness the business culture in action - many candidates are impressed by our attitude once they attend on the day. Go for it. Be clear about what you want to achieve and find out how you can get there. I had a 60min personal interview based on my background and CV as well as 60min commerical interview where it is important to have a basic understanding of the different elements of the business and their challenges. Interviewers don't expect you to know everything but want to see that you can think logically about their questions from a customers and commerical perspective. Interviews are relaxed and they want to get to know you. Fast pacing and challenging environment, great place to be and be ready for hard work. Be yourself, only then you can understand if you are the perfect fit for the company culture and vice versa. Research the company well, Vodafone always have a lot going on at once - find out which one of those things you find impressive mention it in the application. Bring your personailty to the interview. The interview process at Vodafone is all about getting to know the individual and their motivations - be ready for questions about what you were like at school/ why you choose your degree/ why you choose to move for uni etc. If you have any doubt in your mind the direction of your career this graduate scheme is the one to do. I came in knowing a rough direction of where I wanted to go, but even doing placements in other sectors of the business will grown your knowledge substansially and increase your network making your end career path richer through a wider network. Be yourself. I found the assessment centre to me more informal than others. They want to hire people with a clear personality rather than robots. It reflects who is on the scheme and makes everyday life at work fun rather than a drag from day to day. Don't stress over it too much; if you don't have any amazing achievements don't worry. Just make sure to let your character show. We don't like people who tell others what to do; we need people who can lead through listening to others. If you want to work in a dynamic, competitive and committed environment then this is the place to be. You will be expected to work very hard but the results are worth it and you will get a real sense of satisfaction once another positive result is achieved at the end of the day. Be confident, be personable, and do your research into everything Vodafone! Be yourself, Vodafone embraces diversity. Whether studying astro physics or doing art, what is more important is you, whether you would be suited to the organisation and the development potential that you have to succeed in a large corporate environment. Of course be prepared, honest and take accountability as recognising your strengths and weaknesses is just as important for your benefit as the companies. Relax and enjoy it, an interview is a two way thing although it maybe you applying, as a company they are still trying to sell themselves and attract talent. Prepare and have some knowledge of the industry, this just shows your interest for this business sector. Vodafone or indeed any company will not expect you to know the in's and out's however showing a genuine interest can never be overrated. Speak about the things you do outside of University and work, charity and sports are always good. Try to be a good personality with well-rounded skills. Do it - you have nothing to lose and so very much to gain. It is a fantastic opportunity which you will not regret. The wealth of experience & development you will gain from the scheme is priceless, in a company at the top of their game. Be yourself and enjoy the day. It is as much your opportunity to learn about Vodafone as it is for them about you. From the moment I stepped into HQ on my assessment day I was won over by the culture which no other company can compare to. I felt instantly welcomed which turned a generally daunting experience into an enjoyable one. It gives you the opportunity to show your true colours & potential.